Just Plug in Headphones and Play! 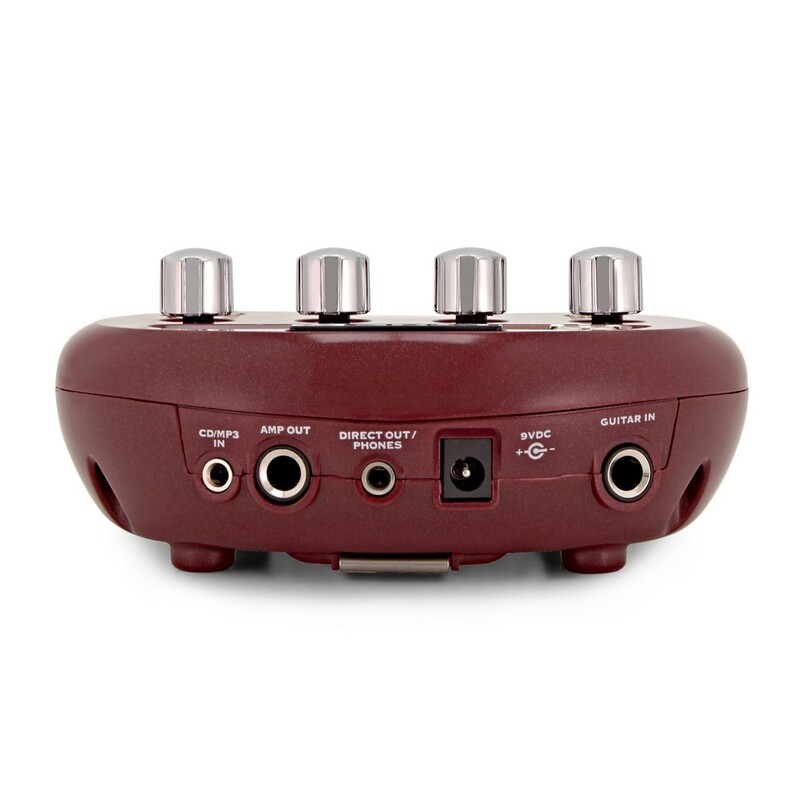 With over 300 custom presets packed into a palm sized package, the Pocket POD is a battery powered portbale effects unit that can be used in front of your amp or solo - simply plug in headphones and play! There are different ways to put the Pocket POD to work. 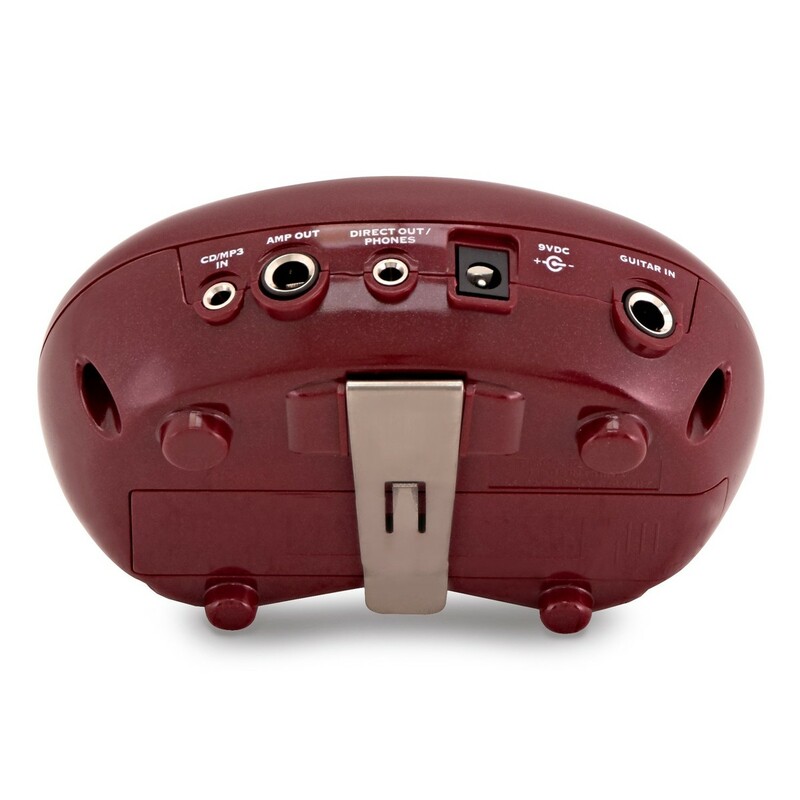 Connect the POD directly into your amp or PA and mould your sound using all the amp models and effects. Alternatively use the headphone jack out to play anywhere, anytime without disturbing the neighbours! 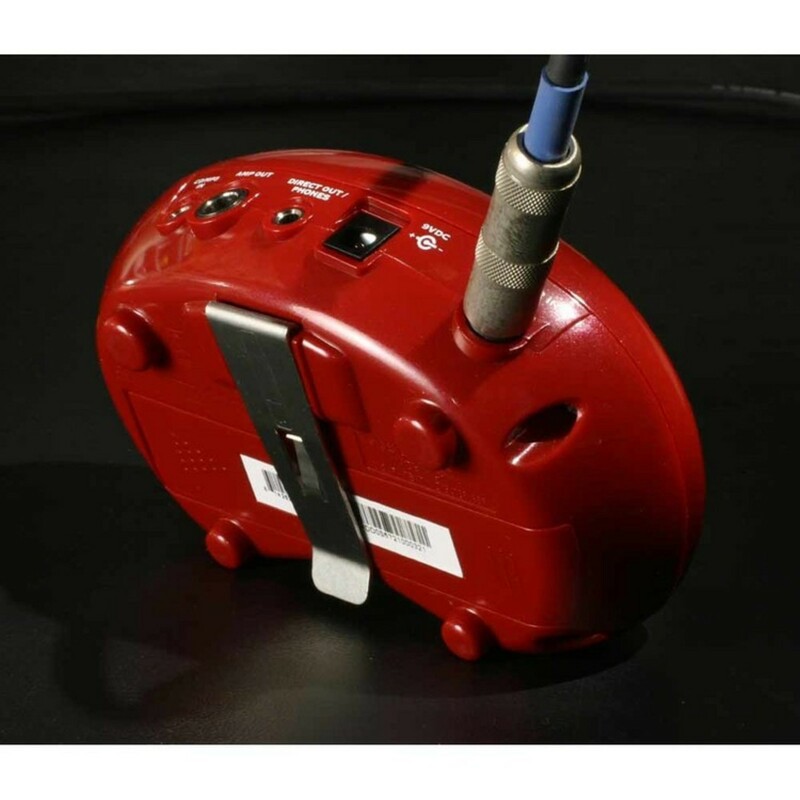 The CD/MP3 jack means you can jam along with your favourite tracks. 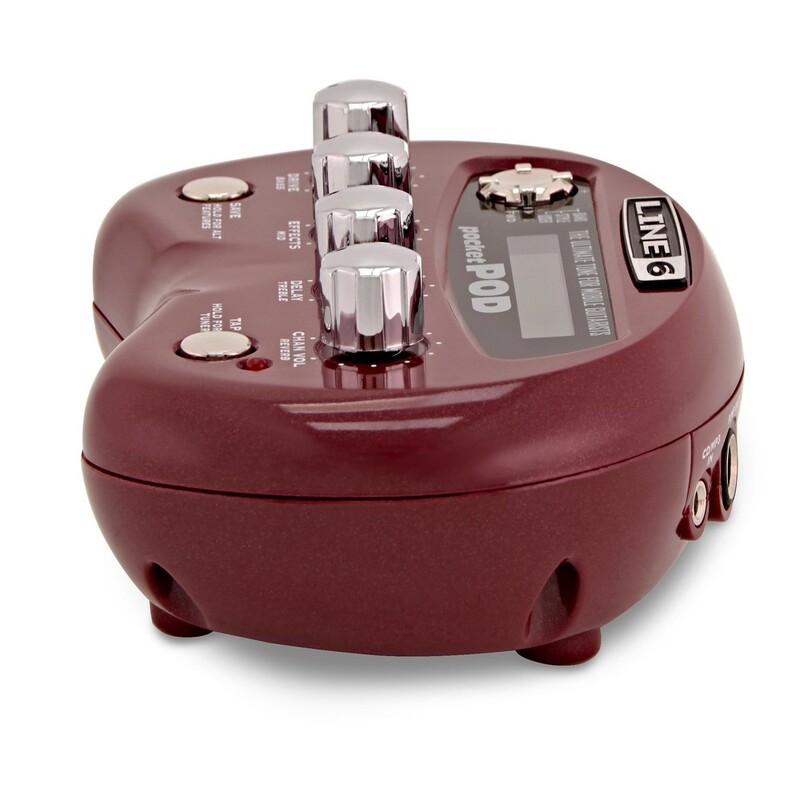 The Pocket POD can run off 4 AAA batteries or a 9V DC power plug. You can also connect the pocket POD to a computer via USB and download free software named Vyzex. 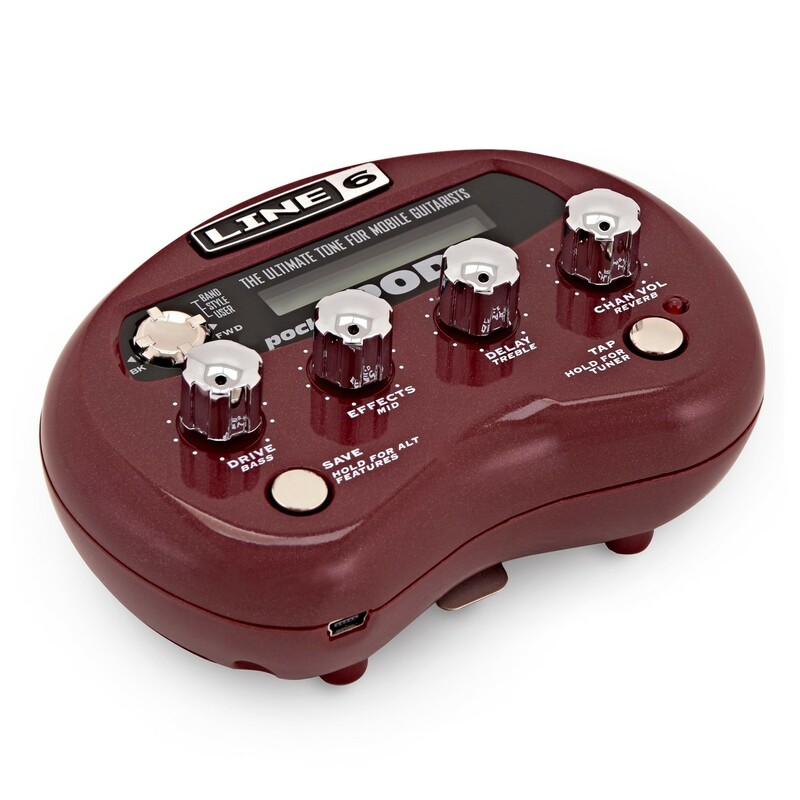 This allows you to go even deeper into your tones, create custom sounds and manage your tone library. Visit CustomTone.com and you can download any of the 3000 free presets which have been created by other guitarists from around the world. To view a table of artist presets please download the PDF below. 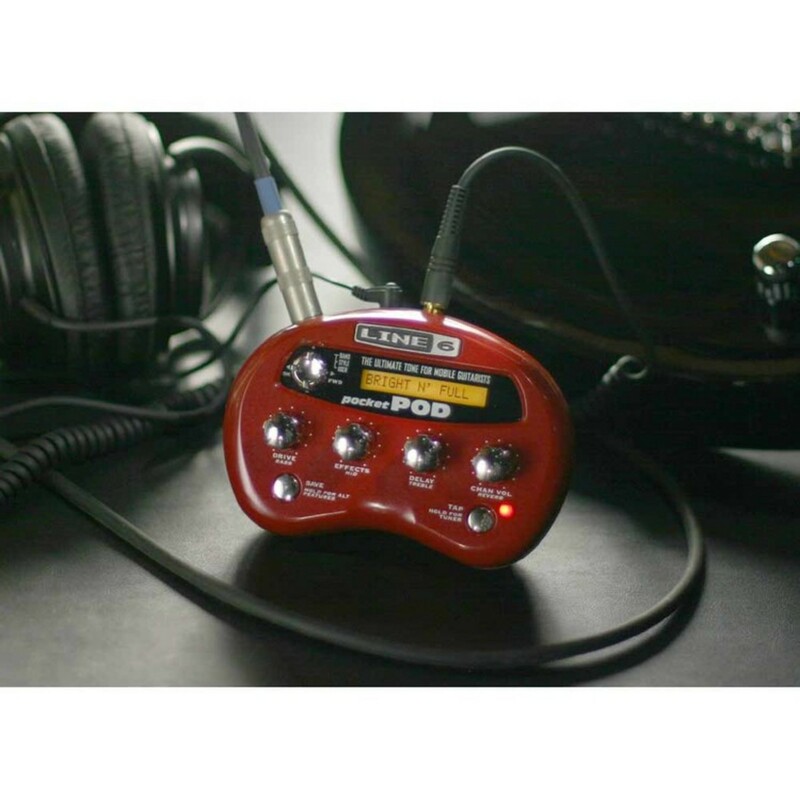 Pocket POD comes with 32 classic and modern amp models and 16 cab models allowing you to create killer guitar tones wherever you go. Line 6's A.I.R modelling technology accurately captures the tone and feel of speaker cabs , mics and studios.Mix and match cabs and mics to find the exact sound you're looking for. Pocket POD is smaller than most stompboxes but it comes with 16 professionally designed effects models. Use the knobs, buttons and LCD screen to easily tweak effects and the free Vyzek editing software to go even deeper. 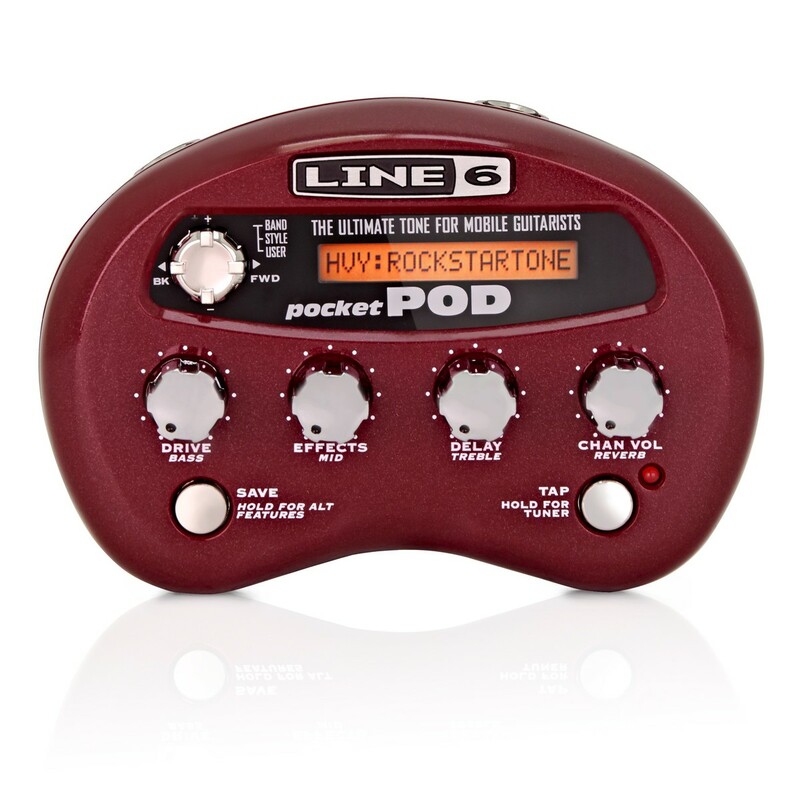 If you are unsure which of the Line 6 PODs is best for you, take a look at the comparison chart in the PDF below.